Sound Healing: What Is It and What Are the Benefits? Sure, some sounds are soothing (like ocean waves or wind chimes) while others are downright jarring (like a traffic jam or your neighbor’s new violin hobby). But can sounds actually heal you? Here’s the scoop on the trend. In short, it’s a practice that uses vibrations (vocal or instrumental-like gongs, Tibetan singing bowls and tuning forks) in order to relax your mind and body. Some proponents also believe it can relieve certain ailments, including anxiety and insomnia. Sound healers (often called “sounders”) say that it works by lowering blood pressure, improving circulation and reducing respiratory rates. Science says, well, not a lot. 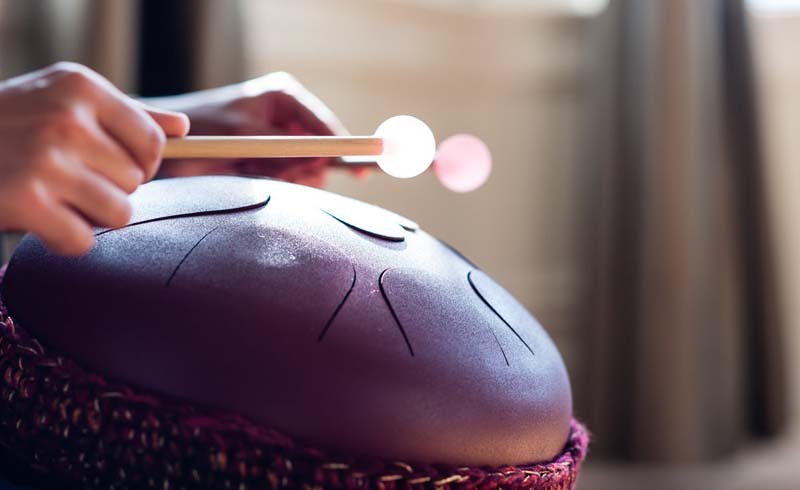 While there are plenty of studies on the benefits of music and meditation on well-being, few large-scale clinical studies have looked at sound healing in particular. Why is it so trendy right now? Like a lot of other wellness practices (mindfulness meditation, crystals, etc. ), sound healing is having a major moment right now—but it’s actually been used by cultures like the Aboriginal peoples in Australia and Tibetan monks for centuries. Credit the recent trend to celebrity endorsements (Robert Downey Jr. and Charlize Theron are both fans) and a general increase of interest in all things wellness. “Simply put, someone can expect to feel very calm after a session, with a profound sense of well-being,” explains Jas Neal of Tune Studio in New York City. “Issues which may have appeared dramatic or urgent no longer carry as much weight as before,” she adds. And if you’ve ever been in a kundalini yoga class, then you’ve already tried it (chanting is one form of sound healing). Sessions vary from just 15 minutes to several hours and can take place on your own with headphones or in a studio with others. But regardless of time and place, the effect should be the same—a general feeling of relaxation and contentment. So, should I try it? Here’s the thing: Sound healing hasn’t been scientifically proven to actually heal anything, although there are some studies that suggest it may be beneficial to general well-being. But modern-day life is pretty damn stressful, and if you’ve tried other ways to relax with little success, this might help. In fact, some people find it less challenging than meditation because the sound keeps their mind occupied, making it easier to enter into deep states of calm. Now if you’ll excuse us, we have some ocean sounds to chill out to. U.S. Daily News: Sound Healing: What Is It and What Are the Benefits?